Both 2012 and 2013 have turned out to be great years for NVIDIA. Both from an engineering and a gamer stand point. The Kepler architecture has proven to be the most scalable GPU architecture to date. First, Titan crashed through the Quadro barrier delivering unprecedented CUDA processing for pro desktop users as well as epic frame rates. 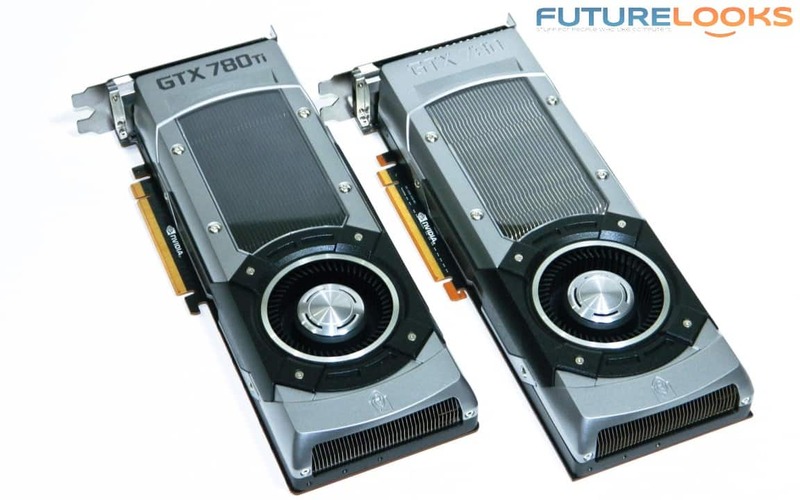 Next, the GTX 780 answered the call for enthusiasts demanding Titan-like frame rates without the Titan price. 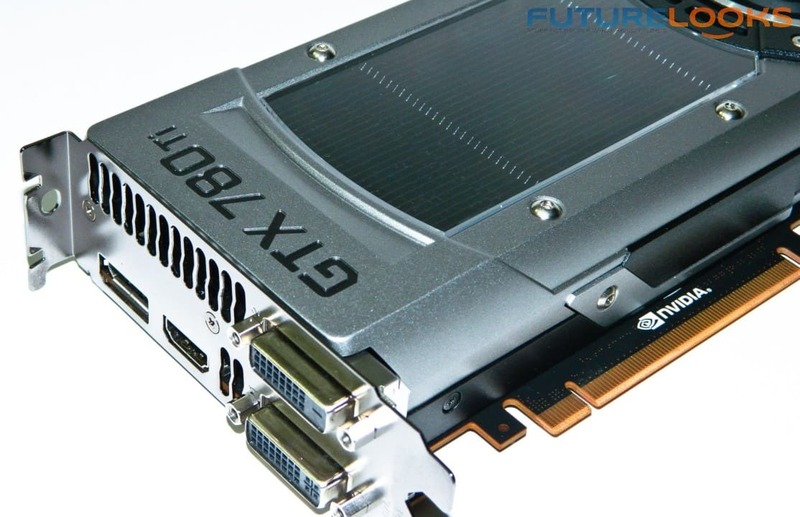 It appears NVIDIA has stepped up again with another powerful remix dubbed the GTX 780 Ti. This graphics processor may look like the GTX 780 and Titan, but it's faster than both and sits right between in pricing. Interesting. 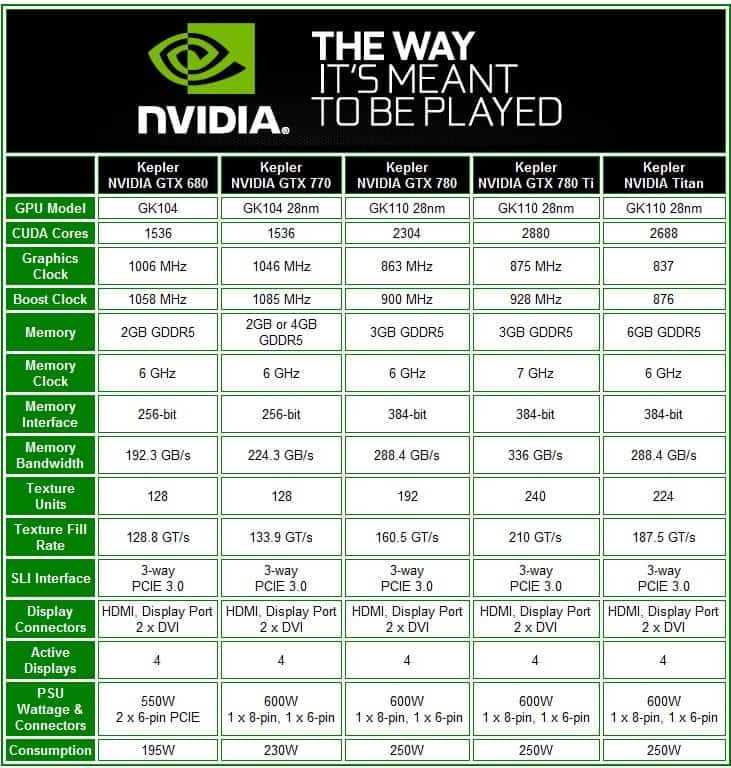 A quick browse of the specs show what's been added to the GTX 780 Ti. Frequencies get a little boost which typically pairs well with the video memory which gets a boost to 7 GHz. If you do the math, that calculates in to 336 GB/s throughput. Visually and theoretically, it should outpace Titan, despite the heavier memory load out on it vs the 3GB on the GTX 780 Ti. The GTX 780 Ti is still based on the GK114 like the rest of the GTX 7xx series, but with more texture units, CUDA cores, and a higher clock speed, resulting in a higher texture fill rate, over the higher end Titan and its predecessor, the GTX 780. But regardless of the extra enhancements on the core, the GTX 780 Ti still only consumes about 250 Watts at full load. This is just further evidence of NVIDIA's innovative architectural refining capabilities, resulting in what appears to be a fully enabled GK114 GPU. Keep in mind that you won't typically see maximum power draw from just gaming. Even if you utilize a program that appears to operate the card at full load, the consumption has been typically less on both AMD and NVIDIA GPUs. Price Drops, Game Bundles, and Shield Discounts! For those who are waiting for prices to come down on the Kepler series (and thanks to pressure from AMD's recent launches), the addition of the GTX 780 Ti drops the GTX 780 to $499, the GTX 770 drops to $329, and the GTX 760 remains relatively unchanged at around $260 price point. All of which are in US dollars. The Titan still commands a $999 premium if you need the Quadro disguised CUDA processing power. This means that the GTX 780 Ti finds its home at $699, sitting right in between its predecessor and the top end Titan. But as we can see from the specs, except for the memory, the GTX 780 Ti looks like it's ready to jump all over it. In terms of promotions for Holiday 2013 (as of the time of this review), any purchases involving the GTX 770/780/780 Ti receive a free copy of Batman: Arkham Origins, Splinter Cell: Blacklist and Assassin’s Creed IV: Black Flag, plus $100 off a SHIELD purchase. That Shield coupon alone makes either of these three cards a bonus. If you're looking for something more affordable, any purchases of a GTX 760/660 receive Splinter Cell: Blacklist and Assassin’s Creed IV: Black Flag, plus $50 off a SHIELD purchase. It's not as big a discount on the Shield but still a noticeable dent in the the $299 MSRP Shield price tag. Clearly, NVIDIA is putting up a very good fight against AMD's latest products and it'll be interesting to see how the deals influence people's spending decisions this holiday. But let's get back to the GTX 780 Ti. Fore the most part, yes, the GTX 780 Ti looks exactly like the GTX 770 and GTX 780. The only discernible difference is that the internal heat sink is black instead of standard metal and the outer casing might be a tad darker shade of silver for that "Titanium" look. Otherwise, everything about the card looks exactly the same as its siblings. While enthusiasts may consider this pretty uneventful, consider that the cost still remains at $699 which would have undoubtedly been higher if the card would have been pimped out a bit more. Besides, the reference card is anything but average or ugly. If sporty coolers and high speed themes are important, you can count on NVIDIA partners to carry over some of their excellent looking graphics cards with better aftermarket coolers. And hopefully we will be looking at some of the more notable designs in a future review. Now that we've established where the GTX 780 Ti stands on paper, let's get testing to find out where the performance aspects land using some of the latest game titles that you'll be looking forward to playing soon.